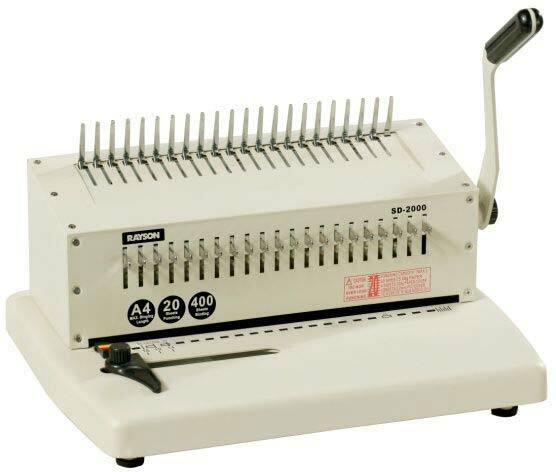 We are in the business of manufacturing, exporting and supplying highly efficient Comb Binder (SD-2000). It is ideal for punching 80g/70g A4 size sheets. Our Combo Binder (SD-2000) is accredited for easy operation, compact size, lightweight, durability, low maintenance and longer service life. We also ensure timely & safe delivery of the orders. Buyers can obtain Comb Binder in bulk and at the most competitive rates from us! Punching up to 20 sheets 80g A4 per time. Bnding up to 400 sheets A4 paper.